The history of hypnosis may go back many, many centuries, however the scientific history of hypnosis and hypnotherapy actually begins towards the end of the 18th century. Franz Anton Mesmer (1734 – 1815), an Austrian physician, is credited by many as being the founding father of hypnosis. He developed the theory he coined as “animal magnetism”; in which he stated that the magnetic tidal influences of the planets also operate on the human body. Mesmer was eventually discredited as he took a liking to showmanship and falsely used magnets. It was in fact discovered that the use of magnets had no bearing on actual results his patients achieved. Many of the impressive results including curing blindness, paralysis, convulsions and other ‘hysterical’ conditions, were down to his trance-inducing suggestion techniques. Nature affords a universal means of healing and preserving men. Mesmer’s method, later termed ‘mesmerism’ after it’s creator, continued to interest many medical practitioners and are the methods that shaped the development of hypnosis as we know it today. James Braid (1795 – 1860), a Scottish physician, began exploring the state of trance. He studied this psychological phenomenon rooted in a physiological process and coined the terms hypnotism and hypnosis, after the Greek god of sleep, Hypnos. In more recent times, American, Dave Elman (1900–1967) helped to promote the medical use of hypnosis, and his definition of hypnosis is still used today by professional hypnotherapists. Dave Elman is also known for pioneering rapid inductions, moving away from the lengthy, drawn out visualisations that were often used. These short, sharp induction techniques have also been adopted in the RTT method which uses a similar rapid approach. Milton Erickson (1901 – 1980), another pioneer in this field, understood the importance of hypnotherapy being meaningful on an individual level, by understanding and working with a client from their view of the world. Erickson also favoured the notion that effective therapy can happen in a short time frame. RTT has adopted this approach, advocating that many issues can be managed in one to three 90 minute sessions. It is really amazing what people can do. Only they don’t know what they can do. Gil Boyne (1924 – 2010) also focused on achieving results in a single session. He developed one of the first programs that used a regression-based approach. 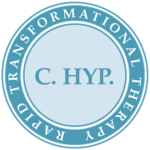 This program, Transforming Therapy™, was used for decades to train over 12,000 hypnotherapists globally, including my wonderful teacher and mentor, Marisa Peer. Marisa Peer, founder of Rapid Transformational Therapy™, has taken the best of many approaches, including some of those described above, along with other methodologies including psychotherapy, psychology, healing, cognitive behaviour therapy (CBT) and neuro linguistic programming (NLP), to develop her own distinctive method. Marisa identified what was needed to enable a client to meet their goals quickly and benefit from long lasting results. She challenged the fact that many conventional therapists rarely address habits of thought. Marisa believes that you can’t heal what you don’t understand, and that habits of action are governed by habits of thought. 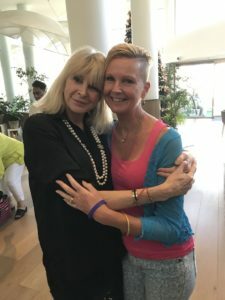 The RTT method is derived from over 30 years’ experience, and in this time Marisa has incorporated her many discoveries into this unique therapy. More recently she has shared her techniques in her extensive and intensive training sessions, passing on her many insights to those prepared to train at this level, including myself. Rapid Transformational Therapy is so much more than hypnosis. I call it beyond hypnosis. As an RTT therapist, I am equipped with a number of life-changing tools and techniques to offer my clients. I would love to share these tools with you, to help you uncover whatever blocks or obstructions may be holding you back from leading your best life. Please book in for an obligation free chat; we can discuss any questions you have and discover how I can help you.